**OPEN HOUSE SUNDAY, January 20th from 1-4pm! 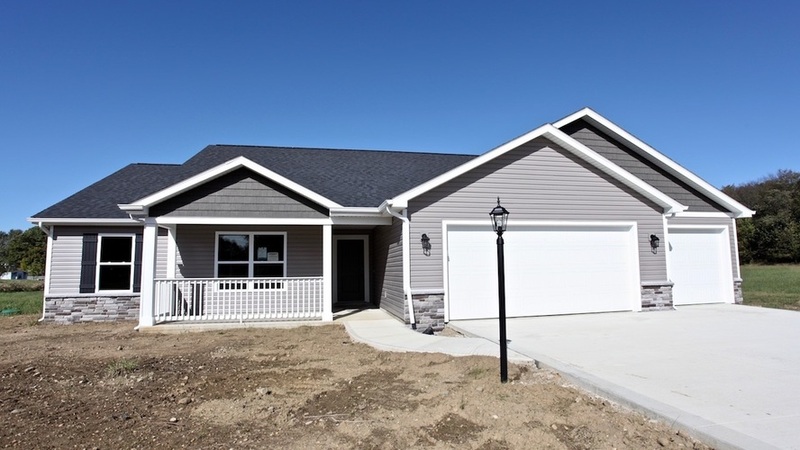 **This is the BRAND NEW home on 2 acres you've been waiting for! COUNTRY LIVING WITH CITY AMENITIES and location! 3 bedrooms/2 full baths! 3 car garage! Open concept! Vaulted ceilings! Huge kitchen with custom cabinets and island! Awesome covered patio off master suite! Energy efficient with NATURAL GAS high efficiency furnace and spray foam insulation! Country setting with a nice deck off the back of the house! Large concrete parking pad out front! City water and natural gas for those that hate well water and paying high propane prices!